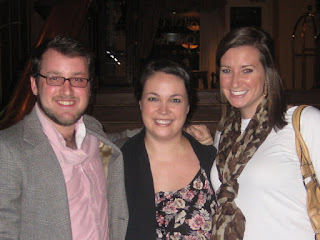 Monday night, Evan, Kate and I met up at a place way fancier than any of our local haunts: The Oak Bar and Capitol Grille inside the Hermitage Hotel here in Nashville. The occasion? Kate's 25th Birthday! Evan grabbed some cupcakes and a card and we all met at the Oak Bar for a little pre-party fun. Before mine and Kate's dinner reservation, Evan took Kate inside the super-famous (especially if you ask my mom) men's bathroom inside the Hermitage. I don't know why they give this award, but it was once voted Nicest Bathroom in America, which warranted a segment on Leno, which warrants my mom going in there EVERY. TIME. SHE. COMES. TO. TOWN. And this is a working men's restroom, so sometimes she goes in while there's men in there. It has happened before. But Kate hasn't seen it, so Evan made sure there were no men around (other than himself of course) and took her in. 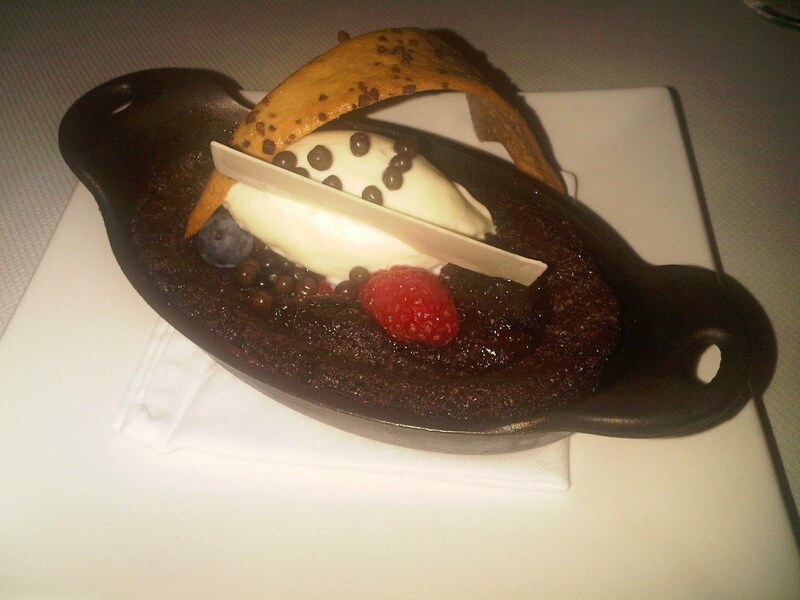 Kate and I had a great girls-only dinner, topped off by this little gem that I'd heard rave reviews for: a chocolate cobbler with hazelnut crust. Yum. That thing that looks like a stick of gum is actually a little strip of white chocolate with Happy Birthday! piped on it, but facing Kate. I love my little family here in Nashville.